Because they are made of fine wire, these staples are not so visible. 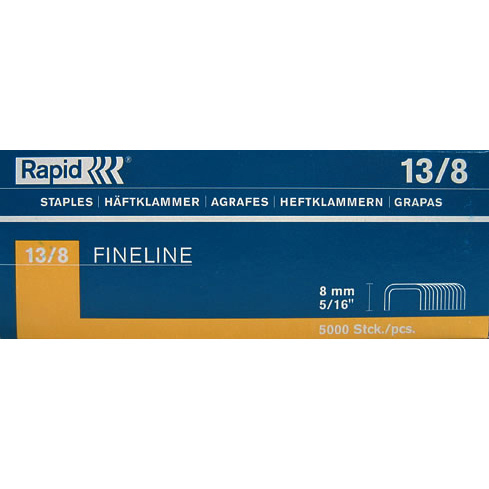 Ideal for working in textiles, the fine wire has a minimal effect on the textile fibres. The holes left after removing these staples when masking off can be painted over without being covered with filler. 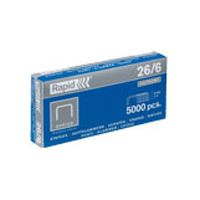 Rapid 26/6 are used in most of Rapid's desktop staplers. In boxes of 5000. 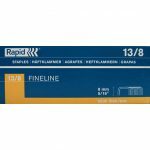 Use in: Rapid E26 Marbig 90120 Rapid Cobra Ice please go to http://www.isaberg-rapid.com/ to check compatibility if you are unsure.